Something to look forward to: Capcom announced on Monday a collaboration with CD Projekt Red that will bring Geralt of Rivia to Monster Hunter: World. The cross-over event will come with a game update scheduled to launch on May 9. The Monster Hunter: World update will include a new special assignment featuring The Witcher called “Contract: Trouble in the Ancient Forest.” Geralt winds up in the New World and offers to hunt down a Leshen — for a price of course. Wild Hunt’s Doug Cockle will reprise his role as Geralt providing his voice talents to the event. Players will also be able to craft Witcher gear including a five-piece armor set, Geralt’s silver sword, and shield. Completing a “critical bounty,” which appears when certain objectives are met will grant the player the materials to craft the “Cursed Staff” weapon and Nekker armor for your Palico. After all that, the fun is not over. 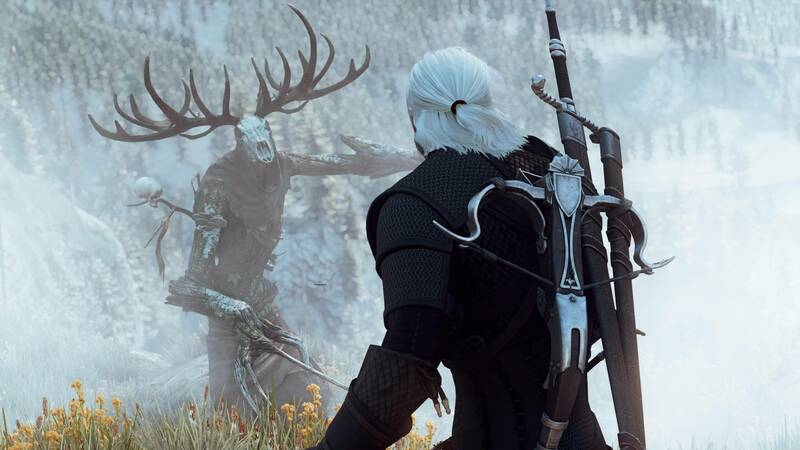 On May 17, another Witcher quest will open up called “Contract: Woodland Spirit.” In this multiplayer special assignment, players will have to defeat a legendary Leshen. Doing so will grant them what they need to craft Ciri armor and a set of Zireael dual blades. Completing the objectives will also open delivery requests that will allow players to collect the materials needed to make Geralt and Ciri Layered Armors. Players will need to have a Hunter Rank of 16 for the first quest. The second leg will be much more difficult and is recommended for players ranked 50 or higher. Like other multiplayer events, the second special assignment is for a limited time only. It starts at midnight (UTC) on May 17 and goes to midnight May 30. So some beginning players may want to start grinding. It takes anywhere from 50-100 hours to reach level 50, so it's easily doable given they have almost two months. The single-player contract featuring Geralt, on the contrary, will be a permanent feature of the game. So even those just starting will eventually get to participate in this cool crossover.